Every art movement has its breakout star whose name, artwork and life story become inextricably linked with the style. Yet sometimes the “star” artist of a movement is not the one who influenced it most; rather it was someone lesser known. 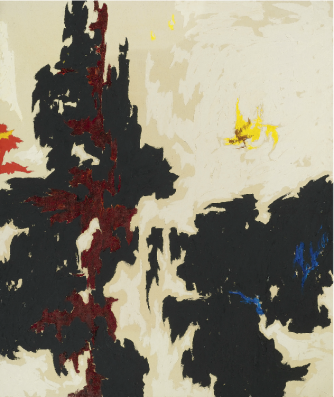 Such is the case with Clyfford Still, who is widely credited for launching the Abstract Expressionist movement, which gave rise to his better-known contemporary Jackson Pollock. 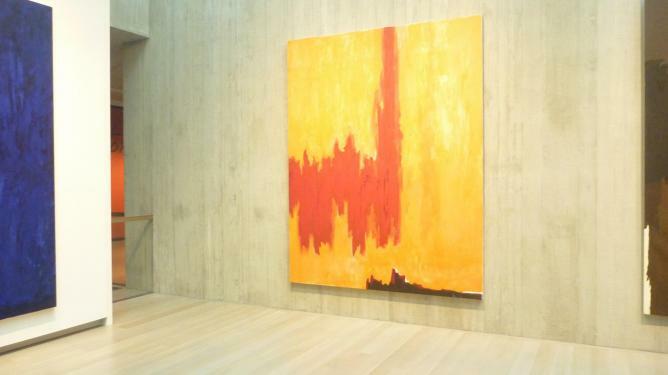 We discover more about Clyfford Still and his artistic vision. Still was born in 1904 in Grandin, North Dakota and spent his childhood in Spokane, Washington and Alberta, Canada— remote from New York City, where the Abstract Expressionism community began taking shape. Still, in contrast, produced his formative works during various teaching posts on the West Coast, first in Washington State and later in San Francisco. He found comfort in the serenity of the West Coast lifestyle and did not believe that a move to New York was necessary. It wasn’t until the 1940s that Still joined the New York scene and associated with the two galleries that launched Abstract Expressionist art—the Art of This Century and Betty Parsons Galleries. However, Still quickly grew disenchanted with how much power the galleries held over artists. Unlike his peers Jackson Pollock, Mark Rothko, Willem de Kooning and Barnett Newman, Still chose to remove himself from the epicenter of the Abstract Expressionist scene. Although his work was in high demand, he refused to answer to gallery owners, curators, and collectors who were dominating the art world. Instead, by the early 1950s, Still made a decision to retain complete control over his work. He cut off all commercial ties with prominent gallery owners, such as Betty Parsons. From that point onwards, Still became reclusive and only emerged for major exhibitions. His desire to exert control over his own work came at the expense of his legacy: a ‘sellout’ he was not. It’s hard to imagine Still’s vehement love of control when looking at his paintings, which depict a sense chaos and freedom. His dramatic brushwork, use of space, and disregard for shapes create an atmosphere of disorder. Very few of his works attempt to conform to traditional use of colour, figures, or scale. Fittingly, the artwork in which he shows the most control is that of his self-portrait. From the moment he moved to New York in the 1940s until his death in 1980, Still never relinquished control of his art. To this day, very few pieces have been sold or exhibited – which is exactly how he wanted it. In his will, Still stipulated that his estate—825 canvases, 1,575 works on paper and three sculptures—be bequeathed only to an American city that would agree to create a permanent space exclusively for his art. He also stipulated that his work could never be sold, given away or exchanged. Despite the strict conditions, many art institutions jumped at the chance to honour his posthumous request. Over the next two decades however, his widow, Patricia Still, turned away more than a dozen offers—including those from the Whitney, MASS MoCA, the Denver Art Museum and the municipalities of Baltimore and Atlanta. Years passed before the then mayor of Denver, John Hickenlooper, eventually persuaded Patricia Still to allow the city to create a museum dedicated exclusively to Still’s art, adhering exactly to the specifications in his will. 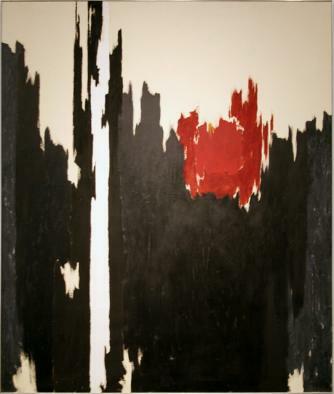 If Clyfford Still is little known within the Abstract Expressionist movement, it’s not for lack of talent. Rather, he knowingly chose to shelter his work from the public eye for decades. 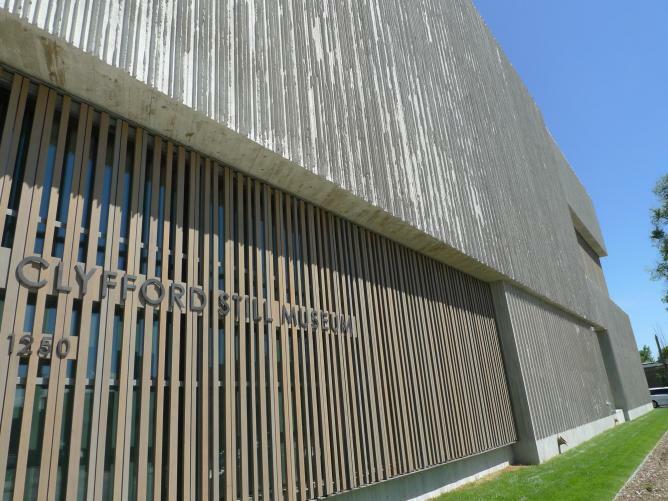 Fortunately, today his art is celebrated and open to the public at Denver’s Clyfford Still Museum, which unveiled Still’s work in 2004 after it had been privately concealed for nearly thirty years.